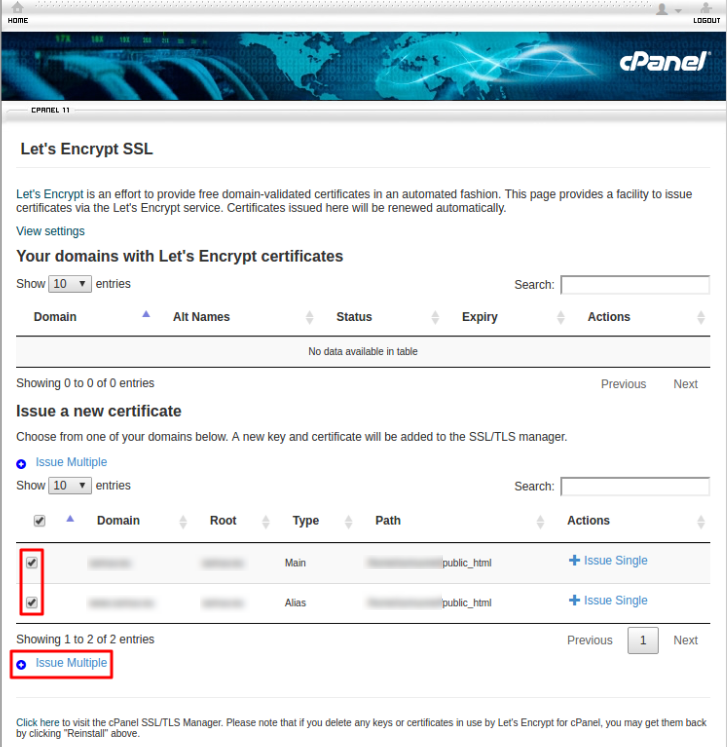 Please go through the following steps to install free SSL certificate by Let’s Encrypt from the cpanel. Locate “Security” section and click on the “Let’s Encrypt for cpanel” button. Note: If you cannot find Let’s Encrypt for cpanel, please contact your hosting provider and they will assist you. 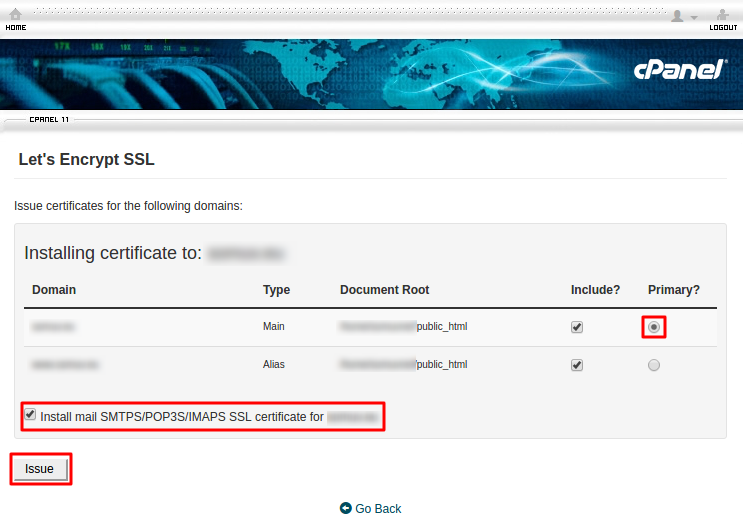 In the Let’s Encrypt SSL page, go to the section Issue a new certificate and tick the boxes near your domain name. After selecting the domains, please click on “Issue Multiple”. Now press the button Issue. Now you will get a success message if everything is correct. If there is any error or issue, please contact your hosting provider. You have successfully installed Let’s Encrypt SSL certificate in your site and you should be able to access your website with https:// now. ← How can I use the script in secured HTTPS site?